This weekend is likely see as many as five Premier League players playing with the scary thought of a two-game ban hanging over their heads. 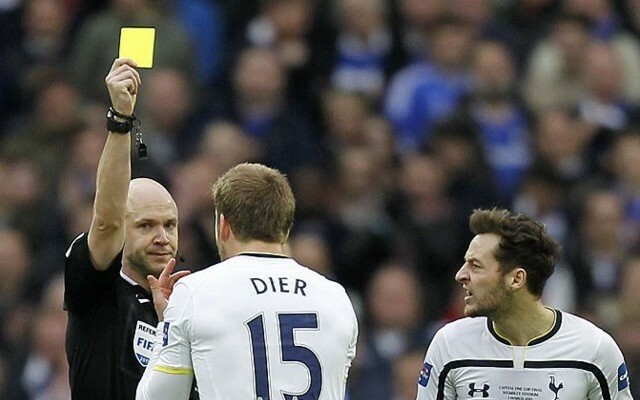 The second Sunday in April is The FA‘s cut-of point for yellow cards. After Sunday, the slate is wiped clean. However, until the amnesty begins, the five players currently on nine bookings could be in big trouble if they make one rash tackle or launch into a shirtless goal celebration. Newcastle are going to need all of their star men available if they are to pull off their version of the Great Escape. Therefore, the Magpies must be praying that Shelvey does not see yellow at Southampton on Saturday. If he does, he’ll have to sit out home matches against former club Swansea and Man City. Pieters has started in all but one of Stoke’s 32 Premier League games this season, so he’d be a big miss. Stoke play Liverpool on Sunday, so Pieters might find himself targeted, as the likes of Philippe Coutinho, Roberto Firmino and Daniel Sturridge could be out to pounce on any hesitancy from the Dutchman. The Potters then face Spurs and Man City – both of whom would probably be quite happy to see Pieters get a ban-sparking booking against the Reds. Dier has been one of Tottenham’s most influential players this season. His deep role in midfield has made Spurs a much tougher outfit, while helping them record the best defensive figures in the division. If Spurs are to have any hope of chasing down leaders Leicester, they are going to need Dier to be available for the entire run-in. A booking against Manchester United on Sunday would be a nightmare and see Dier miss a tough trip to Stoke, as well as a home game vs West Brom. Eleventh-placed West Brom are safe and about as midtable as possible, so another yellow for Yacob wouldn’t really be a big deal. However, Yacob is an important cog in the centre of West Brom’s midfield – a man the Baggies will need on form if they are to trouble Arsenal – their opponents after Saturday’s trip to Man City. 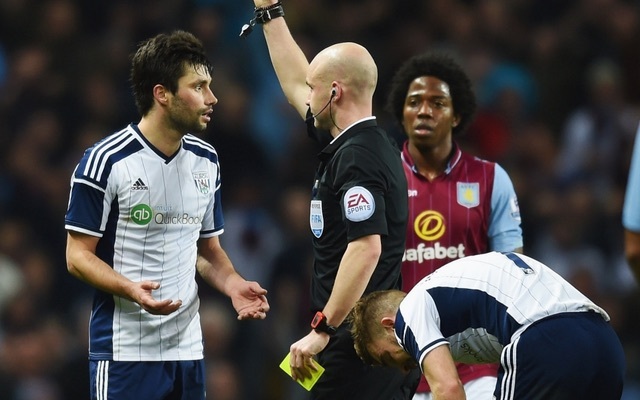 Yacob will also miss the following week’s clash with Watford if he gets in the ref’s bad books against City. It can’t be much fun playing for Aston Villa right now, so Westwood might be tempted to get carded against Bournemouth on Saturday, even though that would see him banned against Man United and Southampton. Video: Burnley score straight from corner vs Liverpool, but did referee get this badly wrong?